This coffee will be fresh roasted for you. 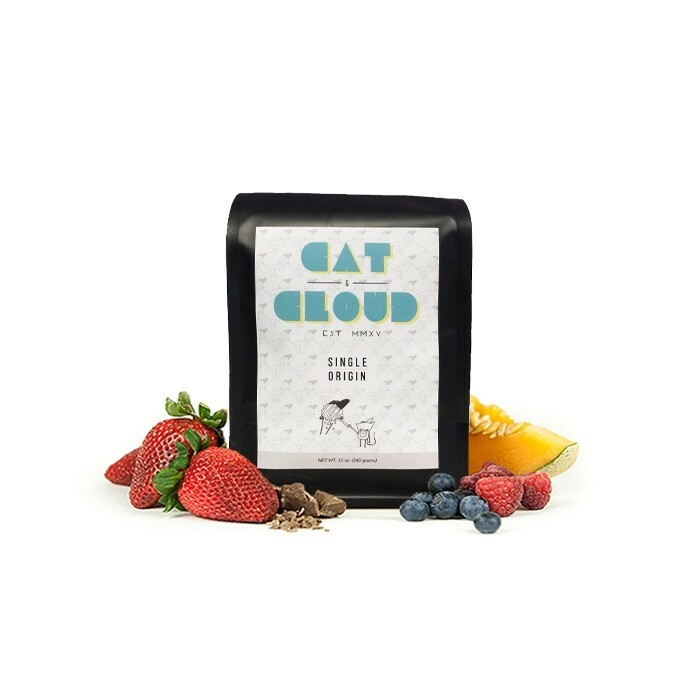 We expect Cat & Cloud Coffee will roast and ship this coffee in 1-2 business days depending on their roasting schedule. The Kenya Karimikui Peaberry was carefully roasted for you by Cat & Cloud Coffee. This fully washed coffee was grown by the Rungeto Farmers Cooperative Society in the Kirinyaga region of Kenya between 1,700 - 1,800 meters above sea level. This meticulously separated and processed Peaberry lot displays black cherry notes upfront, followed by complex tropical fruit flavors and a light-body. Such a smooth cup. So happy to have C&C in my rotation. Smooth, my kind of coffee!